In case you haven’t heard, Google is holding its annual Pixel event in New York City on Tuesday, and to prepare, it’s spending this week getting its apps and services in order. After giving Maps an update with group planning and a new commuter tab, Google is now training its sights on the most important piece of its ecosystem: Google Assistant. While Google Assistant is primarily driven by voice, this update is all about how Assistant looks. Google is calling it “the first major makeover for the Google Assistant on phones,” and it brings a sense of unity to our handsets and the smart displays that have been cropping up. In the update rolling out to phones, Google is adding sliders, buttons, pictures, and other visual elements to amp up the Assistant experience. You can now swipe up on the Assistant screen to access an overview of your day, use a new “interactive messaging system” that lets you make quick edits with your fingers, and use sliders to control things like brightness and volume. And Google is letting developers get in on the fun too. 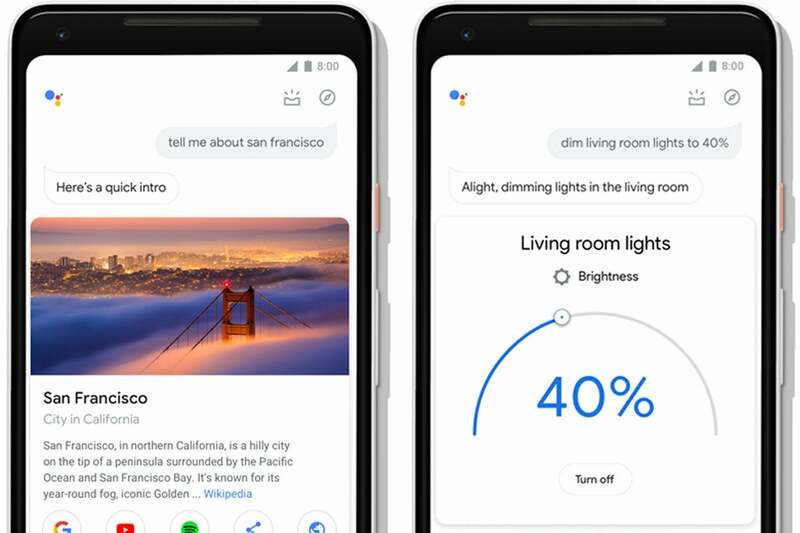 Once the update hits phones, any rich responses that developers have built into their smart display apps will appear on the phone and Google is making it easier to build “visually engaging Actions” with a new set of plug-and-play components. And developers will be able to implement in-Assistant purchases as well as a secure authentication method for easy account log-in. For example, you can ask Assistant to “order my usual from Starbucks,” and it will remember your coffee order, you preferred payment method, and your loyalty card. The new Google Assistant interface and features are rolling out to Android phones and will available via an update to the iOS app this week. Why this matters: Google Assistant news always piques our interest, but this week’s announcement holds even more weight. In just a few days, Google will hold its annual Made by Google event, where it’s going to unveil the Pixel 3 and a bunch of other products related to the Assistant ecosystem. The new visual changes here are almost certain to come into play, and we can only imagine what fun things Google has in store for us.